Since 1987, The Toronto Blues Society’s Women’s Blues Revue has wowed Toronto audiences with performances from some of the most accomplished women in Canadian blues. The featured vocalists of this year’s Women’s Blues Revue include Rita Chiarelli, Cécile Doo-Kingué, Terra Lightfoot, Crystal Shawanda and Suzie Vinnick. Check out the Women’s Blues Revue Archive for a list of past featured artists. Rebecca Hennessy (trumpet, band leader), Suzie Vinnick (guitar), Emily Burgess (guitar), Carlie Howell (bass), Morgan Doctor (drums), Colleen Allen (sax), Carrie Chesnutt (sax) and Lily Sazz (keyboards) return to form this year’s all-star Women’s Blues Revue Band. 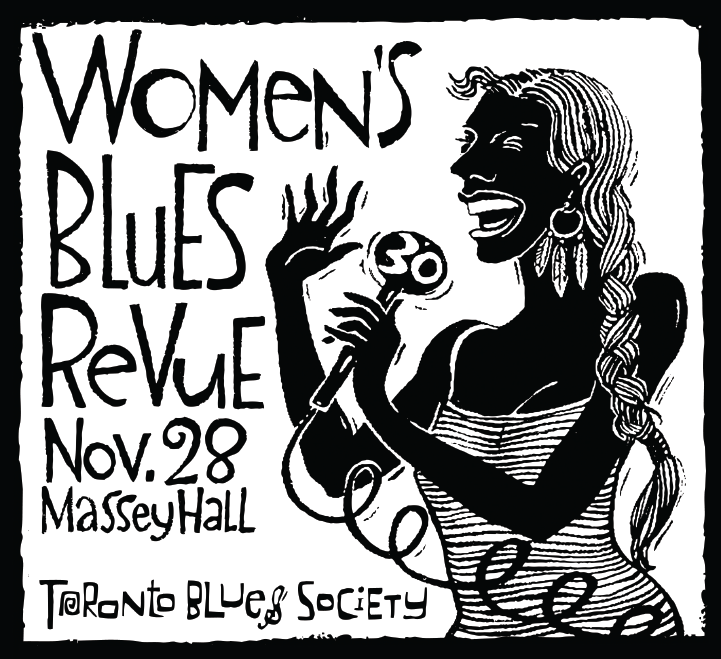 Join the Toronto Blues Society at this year’s Women’s Blues Revue as we celebrate 30 years of promoting Canadian blues!